With the 2019 BCJALL Regular Season just around the corner, the Nanaimo Timbermen are extending an invitation to all junior-aged free agent players to come and take their shot at joining the team. Players can tryout on February 24th from 10 to 11:30 a.m. and 2:30 to 4 p.m. at the new covered lacrosse box at Harewood Centennial Park. Not being drafted in the BCJALL draft does not mean that you cannot try out for a spot on the Nanaimo Junior A or Tier 1 Timbermen. Free agent try-outs give players an opportunity to show that they should be considered for a spot on one of the teams. We will be providing players that opportunity on February 24. 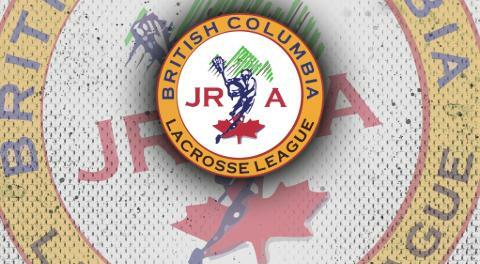 Two tryout sessions (10:00-11:30am and 2:30-4:00pm) are scheduled in the covered lacrosse box at Harewood Centennial Park (740 Howard Ave, Nanaimo). Players are welcome to attend both. Additional sessions will be scheduled if there is demand. Who is a free agent? Players born between 1998 and 2002, not drafted by a BCJALL Junior A team, and who are not in a catchment that has a Junior A team (e.g. Juan de Fuca or Nanaimo) are considered to be free agents. If you would like to attend, please confirm your attendance and t-shirt size via email at JrTimbermenManager@outlook.com no later than February 10. The cost for attending these sessions is $20, payable at the box, and includes a Timbermen dry-fit t-shirt. Players attending must arrive 45 minutes early to fill out an insurance waiver (parents or guardians must sign for players under 18 years old). Bring full gear and water.